The word itself sounds so pleasing to ears! In fact, many people don’t realise the Importance of these word. We should often use this concept as an exercise in our life. It can not only improve our life but it will also bring more joy and bliss in our life. We should always feel gratitude towards a person to whom we admire. This will raise the bar higher and higher in our life. In today’s materialistic world stress is the main dilemma of an human nature. Stress is felt by each and every age group people. Students, job going people, house wives, old age people, politicians(not every politician though!). Everyone have their own reasons which lead them to stress,mental trauma and in some case even depression. The only way to stay healthy from these all dilemma’s is to practice gratitude. Through gratitude we can increase our productivity too. Knowing that the life has a choice itself gives you a positive vibes. Many studies have shown that having choice influences your satisfaction in life. Very worst can happen to anyone, but knowing you have the choice to look good in spite of that is crucial for helping you to maintain your ability to manage yourself well in these situations. Not only saying ‘thank you’ means good manners but it will also help you to make new friends according to study conducted by ‘EMOTION’ magazine in 2014. The study found that saying thank you and making new acquaintance makes them more likely to seek ongoing relationship. So saying thank you to an stranger who held the door for you or sending thank you card to an colleague who helped you with an project will Strengthen your bonding. Acknowledging others contribution can lead to new opportunity. Grateful people experiences lower aches and feels more healthy than other people. Surprisingly grateful people take care of their health and stay more healthy. They exercise more and attend more health check-ups,which is likely contribute to Longevity. Gratitude reduces a multitude of toxic emotions,from envy and resentment to frustration and regret. Robert Mesons,a leading gratitude researcher, has conducted multiple studies on the link between well being and gratitude. 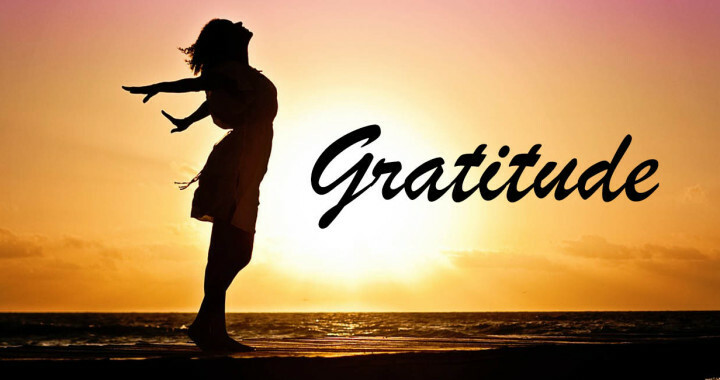 The research concludes and confirms that gratitude enhances happiness and reduces depression. Self Esteem, the most important component to optimal performance. Studies have confirmed that gratitude reduces social comparison. Grateful people always appreciate the accomplishments of others.Athletes too practice gratitude to improve self esteem. We all have ability and skill to develop gratitude. Rather then complaining about the things you don’t have,try to celebrate and cherish for the things you have. These will create positive atmosphere around you. These will attract the others towards you. Developing an ‘attitude of gratitude’ is most simplest ways to improve satisfaction in life. Start these practice and keep a journal. At the end of a day take a moment and write 3 good things that happened to you in a day. You can also add your Experience that you cultivated. There are many application available in play-store and windows market where you can download them and can keep record of your gratitude practice. In the very beginning it was difficult for me to see good things in others as we all are developed in an atmosphere where we only see negative things in an individual. It was difficult for me to write down even three good things in a day. My family members used to call me selfish(which i admit it). My sisters used to do a lot-off things for me but i never appreciated them(As i thought there is no need to get formal or say thank you to family members because they are ‘FAMILY’ as it was their duty to help me but i was wrong.What a shame!!). Now I Appreciate everyone who helps me. I praise my mother every time she cooks delicious food for us. Now its easy for me to follow gratitude attitude. I’m Obliged that i have many people in my life who helps me and guides me at every moment. Now our desire to create the Happiness becomes more meaningful,comfortable lives for everyone and healthy and positive atmosphere can be achieved by being grateful of all the small things in our life going on. Hope these will help you to achieve the kindness you always desired!!! On http://thesuccessideas.com blogs related to motivation in life, achieving true success, having physical fitness are shared. Writing is my hobby and carving blogs which can change people's life is what I write for!